It’s January. We’ve all heard it… “new year, new you!” And we’ve all seen the increase in ads for gyms, weight loss products, etc. Heck, even my own work (I’m a registered dietitian for a bariatric surgery program) seems to have increased their advertising this month. With the onslaught of resolutions, my Facebook timeline has blown up with articles about getting fit, living healthy, and feeling good. I’ve found a few articles, however, that have really sparked my interest – both in good ways and bad – that are centered around body weight and health. The first article that I read was called 6 Things I Don’t Understand About the Fat Acceptance Movement. I will admit that when I first read this article, I was pretty irritated. I really felt that the title of the article should have been “I Don’t Understand What the Fat Acceptance Movement is All About” because clearly this author did not get it. I was so riled up, in fact, that I started writing this blog weeks ago and kept getting annoyed because I couldn’t quite figure out what I wanted to say. Then I came across another article: Let’s Talk About Thin Privilege and realized that the author of THAT article was articulating everything I wanted to say, but much better than I was attempting to do. The reason why we need the “Fat Acceptance Movement” and “Heath at Every Size” is because there is such a thing as “thin privilege”. Contrary to what the author of the first article notes, America is NOT tolerant of obesity. We may be a very obese country… we may have access to lifestyles that make it easy for a person to become obese… but believe me when I tell you, we are not accepting of obesity. I know this because I talk to people about it every. single. day. The biggest point that the Fat Acceptance and Health at Every Size movements are trying to drive home is that people are worth more than their outward appearance. That someone who is overweight or obese is not automatically stupid, lazy, or worthless. That someone who is underweight is not automatically stuck up, athletic, or anorexic. Are there people who fit these stereotypes? Absolutely… but unless you truly know someone, you should not judge how they live their lives just based on what they look like on the outside. You have no idea where they have been, you have no idea what their struggles are. This is something that I have faced since I decided to become a dietitian. As an intern, I was asked by a patient, “Why should I listen to you? You’re not thin.” As if to be able to dispense good nutrition advice, one must achieve a certain body type. My first job was in an eating disorder clinic, where I met people of all shapes and sizes who were criticized for what they looked like. Who weren’t thin enough, fast enough, good enough. In my current job as a weight management dietitian, I see clients who are more than 100lbs overweight. Some of them have diabetes, high blood pressure, high cholesterol, arthritis… the list goes on and on. Some of them lead very sedentary lives. Some of them are more active than I am. Some of them are the picture of good health, other than the number on the scale and the way that they feel about themselves. I have tried in every job and every life situation to respect others. To not judge the book by its cover. It is not always easy, because I have a little bit of “thin privilege”. 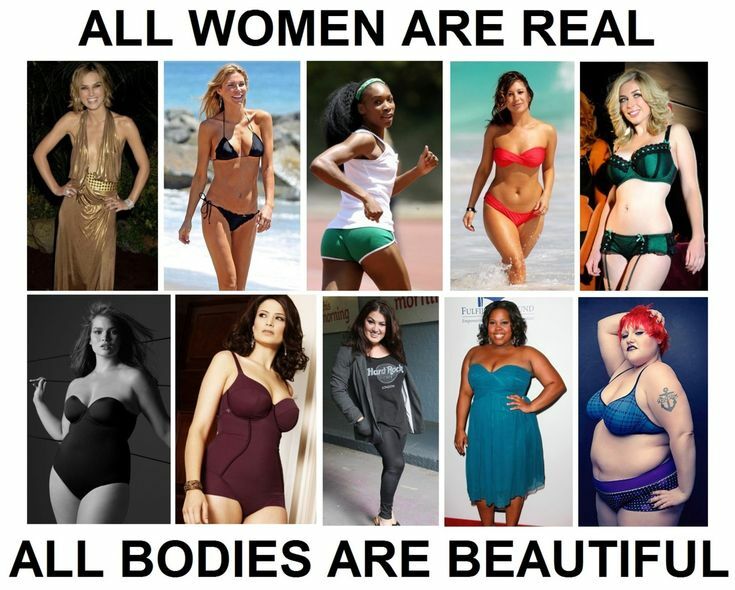 Although I am not thin, I’m not fat either, so that throws me into the “thin privilege” category. (By the way, I just love this article: 10 Struggles of Being Not Fat but Not Skinny Either – so me!) People have said negative things about my body, but I am not oppressed the way an obese person is oppressed. So day in and day out, I remind myself that I don’t know the journey of the person I am meeting until they tell me… I can’t assume to know their journey just by looking at the shape of their body or a number on a scale. And I hope that you – yes you, the person reading this article – will try to do the same thing.